how does that look on a CV? what will the fans chant? I know this isn’t a “food blog,” but when you stumble upon a recipe this good, all rules are out the window. I saw this on New York Times website. What drew me to it was the use of parsnips. I love this root vegetable for its sweetness, but haven’t yet found a consistently good way to use it other than in fries… until now. When I saw the words bacon, leeks, and cream in it, I knew this was going to be good. We essentially doubled the recipe and have plenty of delicious left overs. Go forth and parsnip yourself. Heat oven to 400 degrees. Toss parsnips with oil and season with salt and pepper. Roast, tossing occasionally, until parsnips are golden and tender, about 25 minutes. Return skillet to heat and add leeks. Cook in remaining bacon fat until softened, about 5 minutes. Stir in heavy cream and cooked bacon. Simmer mixture until slightly thickened, 2 to 3 minutes. I love this pattern and Justin over at Winona Fly Factory does a great job showcasing his version. This pattern can mimic a caddis or a moth. It is buoyant and fun to fish. Sit back and enjoy! This weekend we had 10 volunteers and 40 participants at the Northwest River Park Fly Fishing Seminar in Chesapeake, Va. It was a great showing. The boy scout troop definitely helped with the numbers. 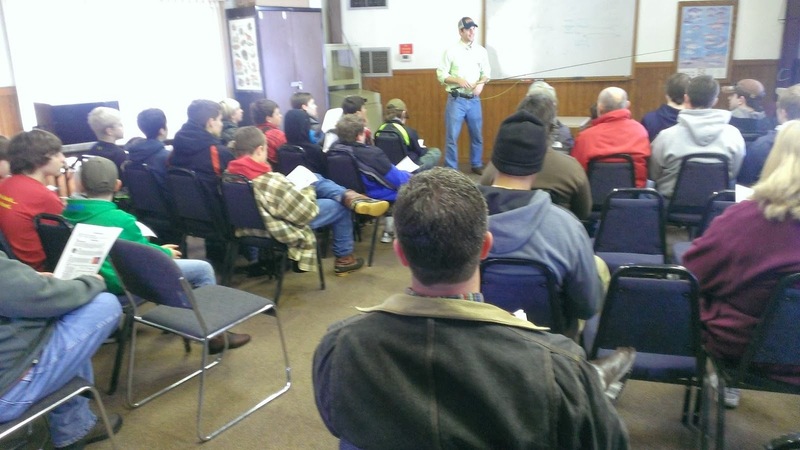 The seminars are facilitated by the Chesapeake Parks Dept and the Bill Wills Trout Unlimited Chapter. Yours truly had the duty of leading the class, and besides a few tough questions, it went pretty well. Every attendant who wants to tie a woolly bugger and cast a fly rod gets a chance. It was fun to see all of the kids having a good time. Not a dry eye in the crowd.